I’ve been searching for the perfect meatball recipe for what feels like forever, and though I’ve turned out some satisfying versions in the past, none of them have really knocked my socks off – until now. I was recently interviewed for an upcoming piece on easy but romantic dishes for Valentine’s Day, and I kept thinking back to that classic scene in Disney’s Lady and the Tramp: two wide-eyed pups, one big plate of spaghetti and meatballs, a kiss, so sweet. Romantic? Definitely. This gave me the perfect opportunity to revisit my template meatballs and sauce recipe, and the result was so good Mike and I had to stop “testing” lest we leave nothing for dinner. The meatballs were light and super tender, and the sauce got a depth and sweetness from the port, as well as a bright fruitiness from the wine added near the end. We fell hard for these meatballs – I hope you will, too. Place the breadcrumbs in a bowl and moisten them with just enough milk to cover them, pressing gently. Place the shallots and herbs into the small bowl of a food processor and pulse until finely chopped. Scrape the mixture out into a large mixing bowl and add the egg. Remove the breadcrumbs from the milk, squeezing out the excess liquid, and add to the bowl. Add the ricotta and salt and mix until well combined. Add the beef and pork and, with clean hands, mix gently until the ingredients are evenly incorporated. Scoop or pinch off small amounts of the mixture and roll into meatballs, placing them on a plate or platter. Heat the oil in a wide skillet until shimmering, then fry the meatballs in batches, turning them to brown them well on each side, and draining them on paper towels. Place the onion, carrot, and garlic in the bowl of a food processor and pulse until finely chopped. In a heavy-bottomed pot, heat the olive oil over medium heat until shimmering. Add the chopped vegetables and a pinch of salt and stir through, cooking until the vegetables are soft. Clear a spot in the bottom of the pot and add the tomato paste, allowing it to toast briefly before stirring it through the vegetables. Add the chile flakes and port, and cook for a minute or two before adding the herbs and the tomatoes with their juice, breaking the tomatoes up with your fingers or a spoon. 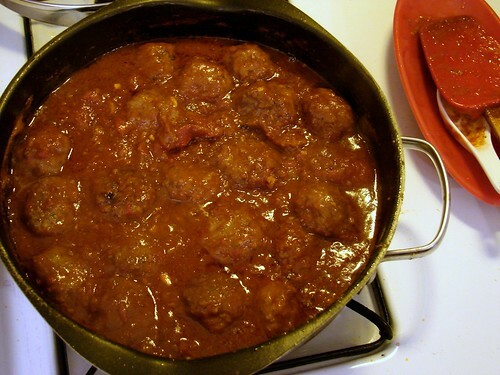 Add the drained meatballs to the simmering tomato sauce, cover and bring to a boil, then reduce the heat to low and cook uncovered until the meatballs are cooked through and the sauce is nicely thickened and reduced (about 30-45 minutes). Add the red wine and stir through, then simmer for an additional 15 minutes, tasting and adjusting the salt if necessary. 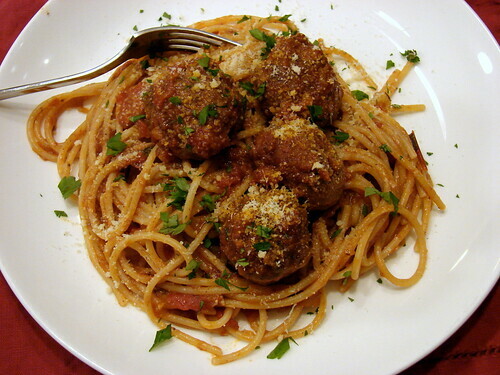 To serve, remove the meatballs and place them in a serving bowl with a bit of sauce still clinging to them. Toss 1 lb. of hot cooked pasta (spaghetti or rigatoni work well) in the sauce to coat it, adding a splash of the starchy pasta water if necessary, and serve the dressed pasta and the meatballs separately, passing additional sauce at the table. Garnish with plenty of freshly grated cheese and a sprinkle of chopped fresh flat-leaf parsley. Oh, thank you!!! And with it a red and white checked table cloth, and a bottle of Chianti covered in straw. Hmm and meatballs were on the menu for this week for us. I bet the ricotta helps in making them super light and tasty. And, I just so happen to have some leftover Narragansett Creamery ricotta in the fridge. Awesome!! These look fantastic. I’d guess they’d freeze well, too. Meatballs may be on my menu sometime soon. Thanks! I’ve always found that the fat content of the meat is crucial. And it’s probably crucial to reproducing your recipe, what was the fat content of each meat that you used? Liz – that NC ricotta is just perfect in these. merry jennifer – I don’t expect these will be around long enough for me to find out 😉 But let me know if you try? Deanna B – I hope you like these if you make them! Wendy – whoops, fixed it. Thanks! 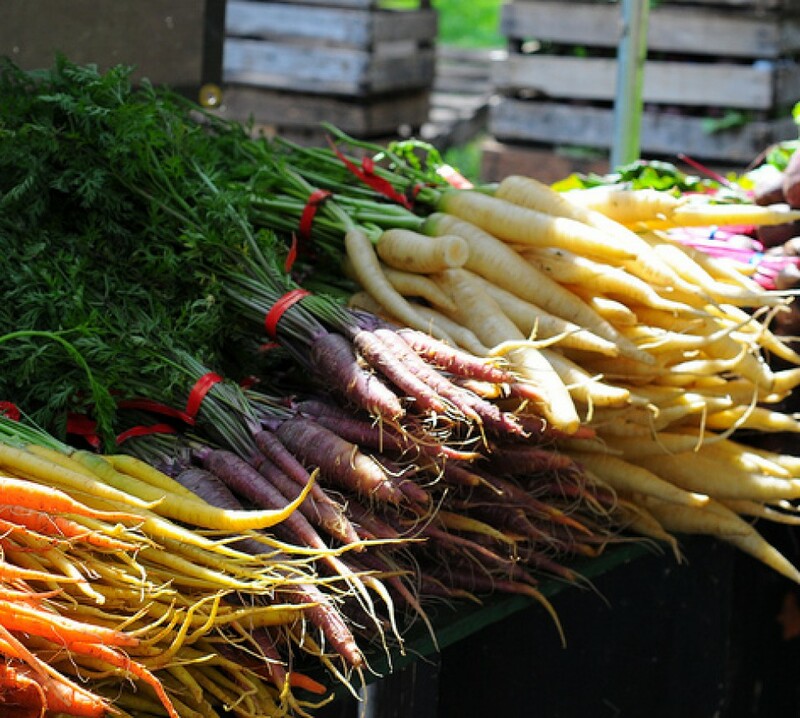 GM – to be honest, we buy our meats at our local farmers’ market, and I didn’t think to check the packaging to see if fat content was listed. One thing I want to do more of this year is grinding my own meats and coming up with specific blends for things like meatballs, burgers, etc. If I come up with a specific mix, I’ll be sure to update here. Two things I haven’t tried…ricotta in the meatballs and port in the sauce, but I’m intrigued. 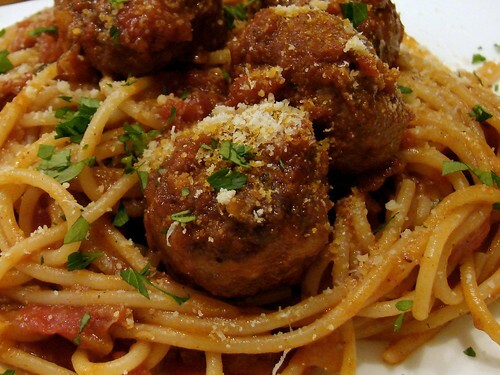 Looks really good and I’m hoping I remember for the next time I feel like spaghetti and meatballs. Very romantic indeed! I like the idea of the ricotta in the meatballs. I’ve got to give these a try. Delish! I did not have ricotta, so I subbed greek yogurt. Thank you! !